Halliburton was producing a CD-ROM about the oil industry and wanted origami models for the main interface. The microscope respresented research. 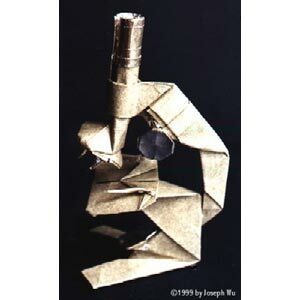 The model comprises three pieces of paper and is assembled without glue. The paper used was Wyndstone marble laminated onto aluminum foil.